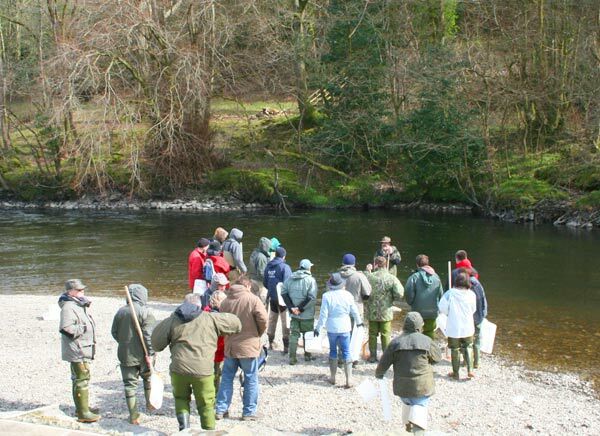 I'm delighted to say that nine new monitors who will be sampling the invertebrate life of the Teifi rivers with TRIM were trained in the Riverfly Partnership invertebrate collecting methodology on 28th March, 2009. Funding from the Countryside Council of Wales enabled the Teifi Rivers Trust to pay for the day, the third which they've held to date. 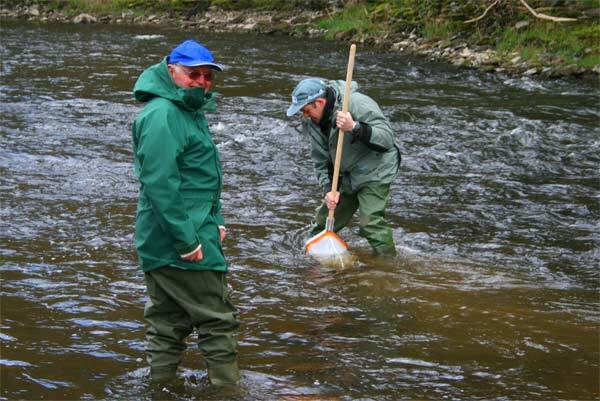 Six of the volunteers intend to sample the Teifi and its tributaries around Llanybyther and Tregaron which has extended the range of the sampling programme along the length of the river considerably. Prior to the training most of the collection points were concentrated at the lower end of the river between Cardigan and Llandysul, it will be interesting to see the results from the upper Teifi now the capacity of TRIM has grown. One of the heartening aspects of the day was the great abundance of March Browns hatching and collected in samples from this length of the Teifi - it's a river fly which has delined significantly in South East Wales but they were collected in their hundreds on this occasion. 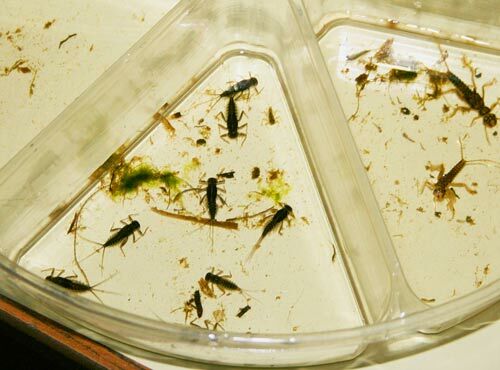 Here are a few in a segmented sample dish next to some stoneflies - . Training days are good fun once the sampling begins. 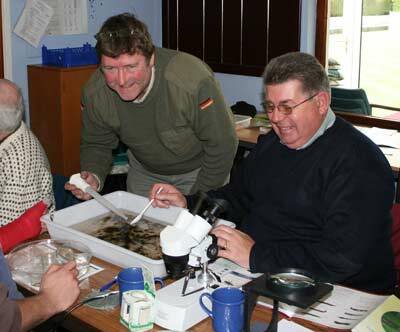 There's plenty to learn in a short time and it's fascinating to discover the complexity and variety of the river flies which live in the local water. 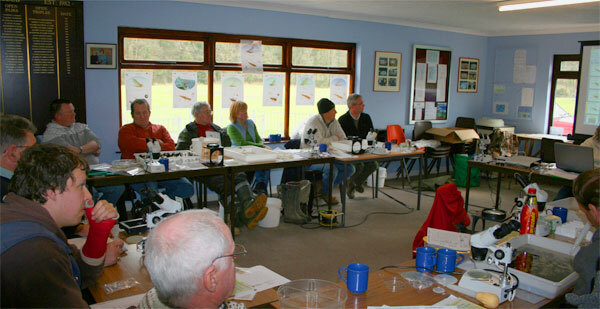 Many thanks to all the volunteers who gave up their Saturday to learn more about the life in their rivers.